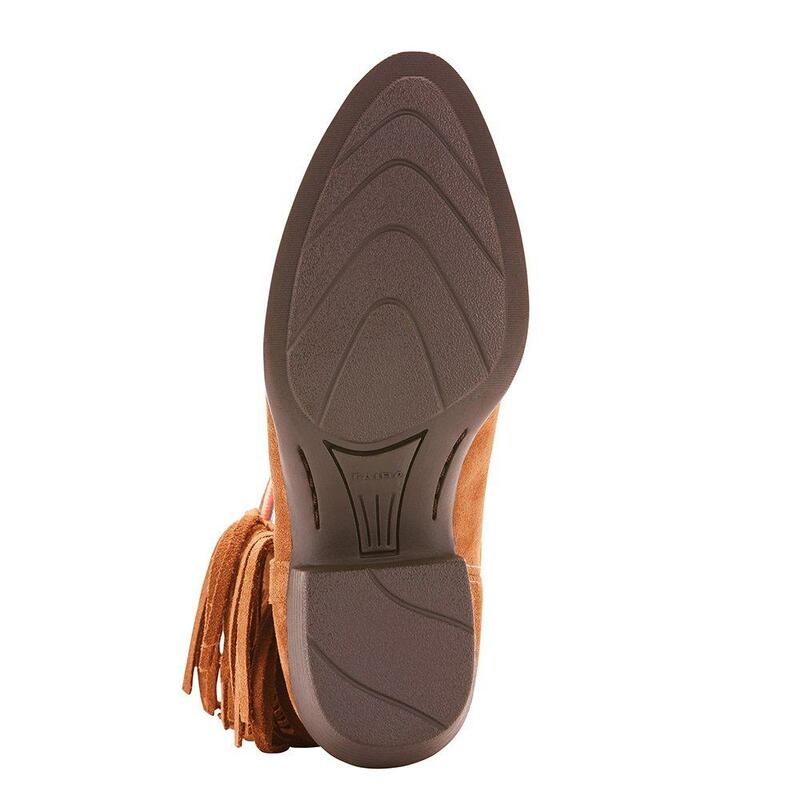 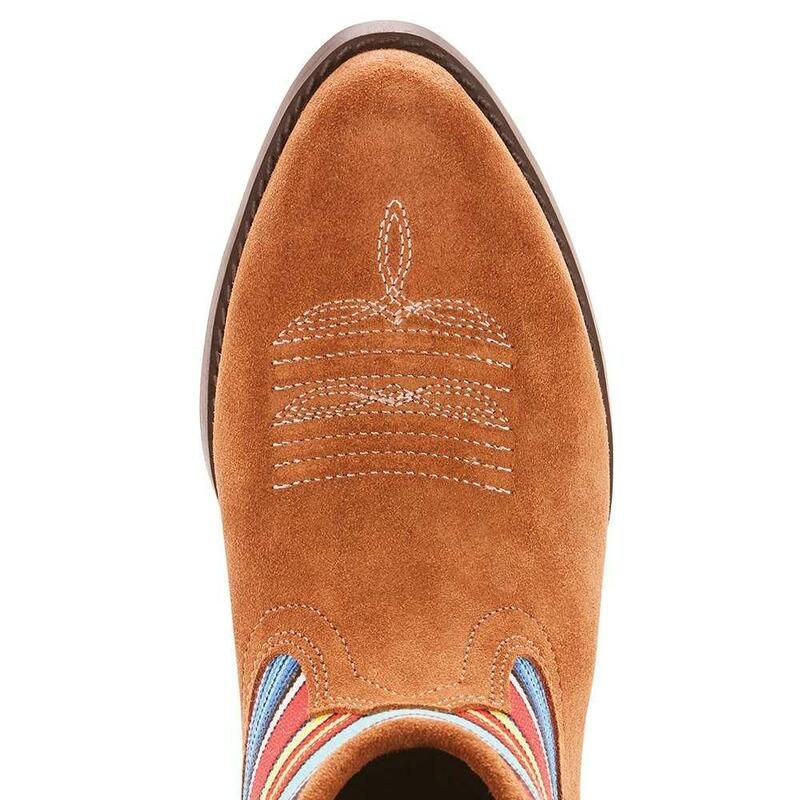 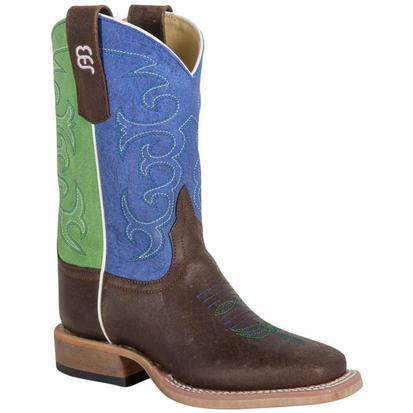 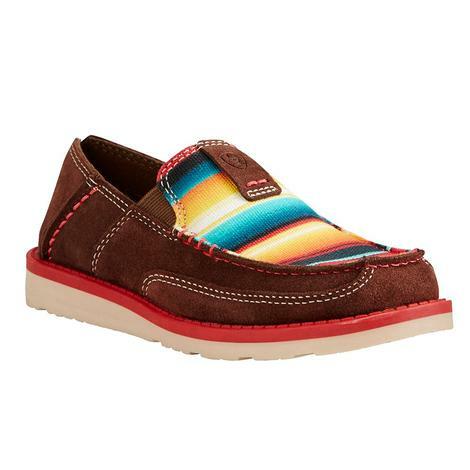 These kid boots by Ariat have a suede leather foot with a serape textile upper. 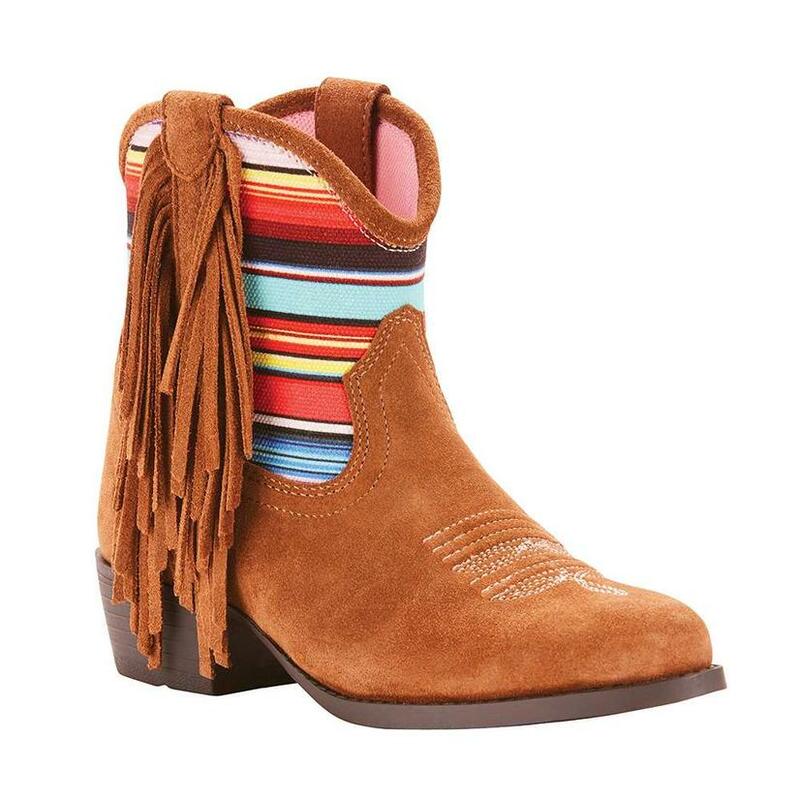 The fringe detailing really makes this already fancy boot really stand out. 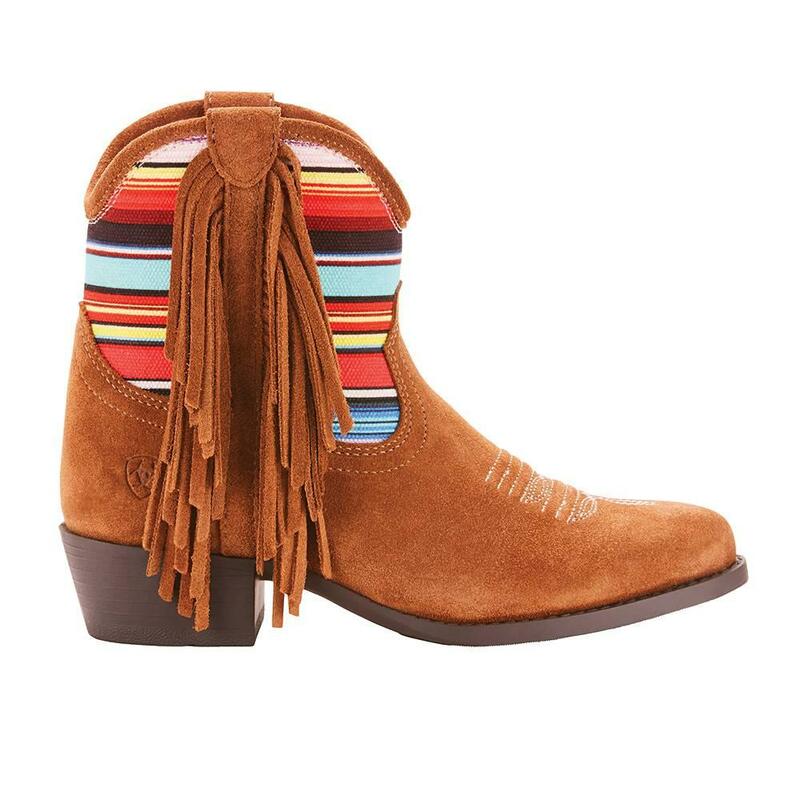 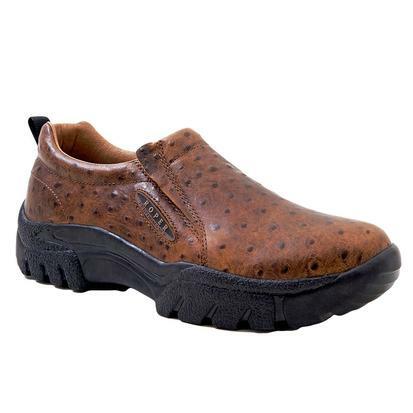 Your little cowgirl will love these!